Photo themes for iOS were introduced in SwiftKey 2.2.0 as we believe you should be able to express your style in more than just words. The feature allows you to design your own keyboard theme by picking any of your photos as the background. Personalise your theme further with resizing options, choosing your own key pop-up colours and giving it a name. Tap 'Design your theme' or '+'. If you've already saved a Photo theme you won't see the 'Design your theme' prompt. Instead just tap the '+' icon. Choose photos from your camera roll or an alternative location. Your photos must be in either JPG or PNG format. Next, we'll take you through the various adjustment options available. When you're done, remember to hit 'Save' or your design will disappear. Using the same pinching motion you're also able to rotate your photo. If you make a mistake just press 'Reset photo' to start afresh. Type in a recognisable name for your theme. This will only be viewable by you. This also means that your themes cannot be transferred between iOS and Android devices. There are differences between Photo themes on iOS and Android. 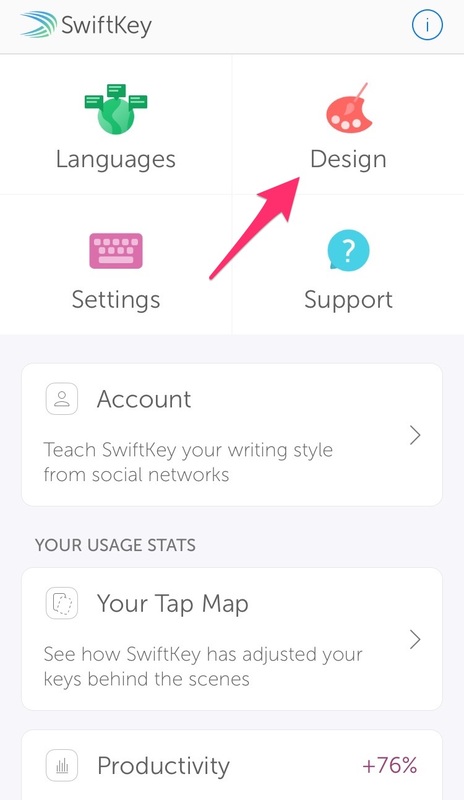 The SwiftKey team monitor all feedback closely and will make changes accordingly.